It seems pretty simple, go to the store, grab a pack of that super-duper double ply toilet tissue that you’ve been using forever, and put it in the bathroom. But wait…is there a toilet paper that works best in a septic system? Are there ‘best practices’ to flushing your toilet paper away? Let’s take a look! So the first question is: Should you be concerned about putting toilet paper into your septic system? In a nutshell: NO. Toilet paper is made to be flushed and there is not evidence that septic systems have a hard time filtering out regular toilet paper. 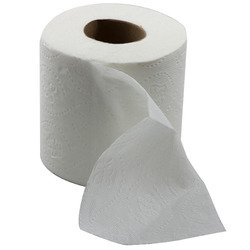 Flush your favorite toilet paper without a care as long as you don’t try to flush too much all at once. If you are still worried about harm to the system, there are a few things to consider. While some people think that recycled toilet paper might be a good option and be better for the tank and system, there is a scant evidence to support this thought. The greatest benefit from using recycled toilet paper is that it is better for the environment. Disintegrating toilet paper might be a great option if you are overly worried about damage. This type of paper disintegrates when it touches water and will be gone in a few seconds. Stop wasting paper by using big wads and only use a minimal amount folded in half. This will help to make sure that a large amount is not being flushed all at once. We know we say it a lot…but it is the truth. Pumping and regular maintenance of your septic system i s the best way to keep it functioning for years to come. Grenco wants all of the systems we install to last for years and be a worry-free part of your home. PreviousSeptic System Additives: Do They Really Work?